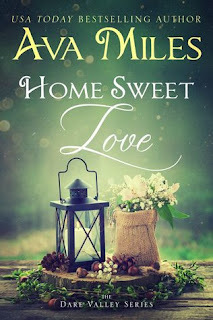 USA Today Bestselling Author Ava Miles presents an emotional and romantic story about two people who fall in love and discover home is all that matters. Hardened billionaire Chase Parker lost his home tragically at a young age. Will sweet and sassy businesswoman Moira Hale be able to convince him he can make a home with her and trust in something as sweet as love? Another beautiful story in the Dare Valley series. I feel in love with these characters as I always seem to. There is such depth to Chase and I loved him so much. The emotion in this book was amazing to experience. I'm excited there will be more to this series, but I'm curious how many more we can get. 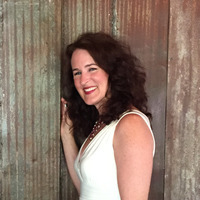 International Bestselling Author Ava Miles joined the ranks of beloved storytellers with her powerful messages of healing, mystery, and magic. Millions of readers have discovered her fiction and nonfiction books, praised by USA TODAY and Publisher’s Weekly. Women’s World Magazine has selected a few of her novels for their book clubs while Southwest Airlines featured the #1 National Bestseller NORA ROBERTS LAND (the name used with Ms. Roberts’ blessing) in its in-flight entertainment. Ava’s books have been chosen as Best Books of the Year and Top Editor’s Picks and are translated into multiple languages. Ava calls herself a divine rockstar, something she believes everyone is deep down. She’s a unique expression of love and joy in the world with her own special gifts: writing stories with uplifting messages, being an intuitive healer, inspiring others to uncover their authentic selves and their highest path in the world; and creating artistic masterpieces like pottery and sculptures. And then there’s the cooking… She used to be a chef and rocks food big time. A global awakener at the core, Ava has dedicated her life to uplifting everyone on the planet. In her former career rebuilding war zones, she worked in places like Lebanon, Colombia, Pakistan, West Bank/Gaza, and Congo to foster peaceful communities. Now she’s sharing her stories of love, forgiveness, and empowerment around the world—pretty much still changing lives.